If you are looking to create stunning lead capture pages then Simple Lead Capture is the perfect solution for you. The process with Simple Lead Capture is that you choose your template, add your content, publish your page and build your list. 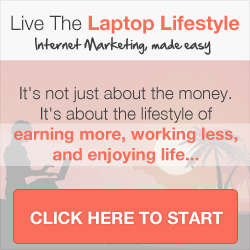 It is the simplest and fastest way to take you next idea and market it in just a few minutes. Auto-responder Integration – Connect with all the major auto-responder services with just a click of your mouse. Responsive Designs – The stunning templates work beautifully with all devices. Built In Analytics – Track how your pages are performing. You will be able to see how many visitors you are getting and more importantly how many you are converting into subscribers. WordPress Integration – If you publish using WordPress you will love the Simple Lead Capture plugin. It integrates with your site so you can import your pages and add them to your own URL extension. Increase Your Opt-Ins – Simple Lead Capture offers a two step opt-in process which asks the prospect to take two actions in order to subscribe. This has been proven to increase your opt-in rates significantly. To find out more about and get a FREE 30 day trial click the banner below.